Raven Black returns in another heart-pounding installment of the USA Today best-selling Crossbreed series. Vampire trafficking is a sinister business, and nobody knows that better than Keystone. After Raven discovers hidden clues in a cold case, the group sets a trap in hopes of catching an elusive criminal. But when the plan backfires, Raven's world is thrown into chaos, and Christian's loyalty is put to the ultimate test. Buried secrets come to light, and the only thing keeping Raven grounded is her insatiable thirst for vengeance. The stakes are high as they travel to a place where the landscapes are as treacherous as the immortals who live there. This time, there's no room for mistakes. In Gaslight, Raven is out on a mission, to have it flipped. Raven is then taken into a physical and mental journey on her own. Christian leads the search, but where to look--she was there and then gone. Raven finds answers to many of her unanswered questions from her past, but at what cost. So much happens, and so much to overcome. Anything more said would spoil the story for you. another great book! I really enjoy this series! Nicole Poole is a great narrator! I can not wait for the next book! This was my least favorite of the series. How many times is Raven going to get her memory scrubbed? How many times is Raven going to forget she likes Christian?... These things have already been done in earlier books. Ugh! No need for repeats so early in the series. This book really makes our female heroine into the victim. Again. It attempts to give us some insight into Raven's past with her creator and maker. Creator being the one who turned her into a mage and Maker being the one who turned her into a Vampire. Unfortunately, the insight comes at a price. Why does Raven meet her Maker and Creator in the same book? Those are huge events and it seems unlikely that she should accidently happen upon both of them regardless of the circumstances that lead up to it. Raven seems like a character that should have been allowed to hunt them down. Personally, I don't think the first half of the book matches with the second half. In one half Raven is all about bringing the good out of the bad guys and the second half she wants to kill everything that moves. Maybe the story should have been longer to really get the transformation to stick... but for me it was off a bit. I'm not sure why the author decided to postpone the romance between Raven and Christain. It's been dragged out and teased for four books. Those who are thinking this is the one will be disappointed. This is odd but the necklace Raven got as a gift from Christain... Does anyone else picture the necklace from Titanic? I must say the narrator, Nice Poole, hahas really grown on me. Her voices for Christian and Victor just really catch my ear. There has been very very few times in my life where i have actually preferred to listen to the audio of a book vs reading it on my own. This is one of those times. If i did stop to read it i read it in the characters voices that Nicole Poole perfected. And i do mean perfected. IT was amazing, I am completely blown away. The accents, inflections, everything was spot on. Her voice acting was as good, if not better than a television show (probably better, since i was very productive whilst listening to the series). The narrator brought every character to life and Im so appreciative that I got to enjoy it! There are no words that will do this book justice. Phenominal, the tragedies the Raven faces are more than anyone should be able to handle . Christian will always have her back. Love this series! So far I have enjoyed this series but this book was a frustrating read for me. I almost stopped listening towards the end because I felt like it wasn't really going anywhere. I am glad I finished the book because the end was pleasantly surprising. I keep reminding myself that it's just one person narrating the story! best narrator ever! This one is the best in the series so far. More twists and turns than I thought possible. Worth every minute. I. LOVE. THIS. SERIES. I've loved Christian since the Mageri series and this series has just surpassed my expectations. 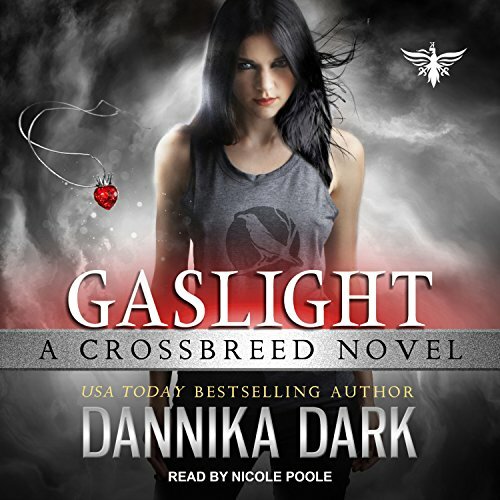 Danika writes perfect characters and builds them so well.